Our reviewer welcomes Joanna Lillis’s Dark Shadows as the first serious book about modern Kazakhstan for a general reader. Disclaimer: Joanna Lillis is a long-time contributor to Eurasianet. For all that Kazakhstan is widely touted as an up-and-coming economy, its history, culture and politics remain poorly understood in the English-speaking world. Popular accounts are few and far between, and generally consist either of oily hagiographies of Nursultan Nazarbayev, or well-meaning, self-consciously quirky travelogues by writers who have spent at most a couple of months in the country, and who do not speak a word of Kazakh, or even Russian. Joanna Lillis’s Dark Shadows is the product of 13 years living in and reporting from Kazakhstan, by an experienced journalist who knows both languages. It is the first serious book about the country for an English-speaking general audience, and it is both welcome and long overdue. 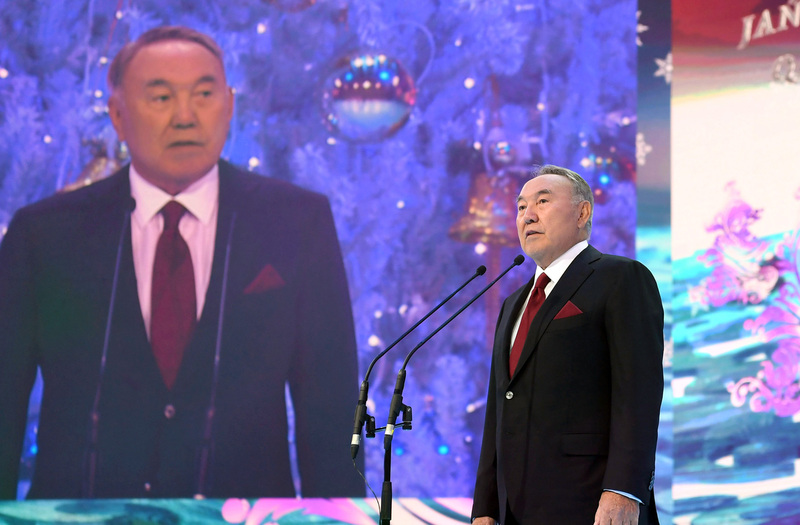 As the title suggests, much of the book concentrates on the dark side of Kazakhstani life and politics: The book opens with a description of the growing cult of personality surrounding Nazarbayev, and the crimes of his revolting son-in-law Rakhat Aliyev. Lillis provides razor-edged accounts of the murder of Altynbek Sarsenbayev, the corruption and flight of Mukhtar Ablyazov, and the massacre of oil-workers at Zhanaozen. She is brilliant on the struggles of independent media to retain a voice in Kazakhstan, and on the ways in which elections are manipulated to secure Nazarbayev’s power. She provides heart-breaking accounts of the terrible consequences of Soviet nuclear tests and the Aral Sea disaster for the health of people living in these regions. But this is not a gloomy book. Shining through is Lillis’s deep affection for the country she has made her home. She writes about the people she meets, the landscapes she visits and the events she witnesses without the sensationalism and patronizing sentimentality characterizing so much western journalism about Central Asia. When Lillis interviews the editor of opposition newspaper Respublika, it is clear she sees her and other Kazakhstani journalists not just as subjects or sources of copy, but as fellow professionals. That respect for her interviewees is present throughout the book, whether they are a septuagenarian Old Believer who has built her own church in the Altai, oil workers and lawyers in Zhanaozen, Chechen community leaders or families of Oralman – ethnic Kazakhs who have migrated from China or Mongolia. Lillis succeeds in conveying not just Kazakhstan’s extraordinary diversity, but the sheer, surprising strength of its civil society. Despite a political system which does not tolerate real pluralism or dissent, Kazakhstanis are not simply crushed, passive or accepting. Public opinion counts for something, as shown by the protests over proposals to reform laws on foreign leasing of land in 2016. Lillis has said elsewhere that her main aim in writing the book was to give a voice to Kazakhstan’s own people, and in this she has been entirely successful. Lillis also provides excellent, accessible accounts of some of the major events in Kazakhstan’s recent history – the terrible Soviet-made famine of the 1930s, which killed almost 40 percent of the ethnic Kazakh population, the vast Gulag network, Stalin’s deportations of Chechens, Poles and other “punished peoples” to the Kazakh steppe, and the protests against the Soviet regime in December 1986. These are sensitively interwoven with interviews with those who lived through these events or are living with their consequences today. Perhaps the most vivid essays are those which bring out some of Kazakhstan’s vaguely surreal qualities: the mysterious sleeping sickness in the village of Kalachi, which first prompted Lillis to embark on this book; the former nuclear physicist now running an ostrich farm near Almaty; the atheist activist shadowed by secret policemen in the mining town of Ridder; the Soviet planner turned viticulture enthusiast. Despite the dark shadows of the title, Kazakhstan emerges from Lillis’s book as a country with extraordinary qualities and assets – not the oil and other raw materials that are usually invoked when talking about the country’s future, but its resilient, well-educated, diverse and politically assertive people. This is all the more remarkable given the unpromising international context. If I have one criticism of Dark Shadows, it is that it does not really explore the difficult neighborhood and environment in which post-Soviet Kazakhstan has had to develop. The suppression of political opposition, Nazarbayev’s personality cult and the corruption which has flourished under his regime are deplorable, but seem mild when compared both to the brutality and economic idiocy of Islam Karimov’s regime in Uzbekistan, and the chauvinistic aggression of modern Russia. While much of the oil revenue bonanza in Kazakhstan has been siphoned off corruptly, it has still allowed an enormous investment in education under Nazarbayev. While Russia spends its petrodollars on arms, Kazakhstan spends at least some of them on schools and universities. It remains to be seen whether the younger generation of educated Kazakhstanis, increasingly with a good knowledge of English, will be able to bring about fundamental changes in the country’s political system over the coming decade, but having taught many of them, personally I am optimistic – in a way I am not about Russia’s future. This is a fine book, beautifully written and with just the right blend of affection and censure. Lillis has rendered a great public service by dispelling some of the myths and caricatures that have gathered around Kazakhstan, which remains one of the world’s least well-understood countries. Alexander Morrison taught in Astana from 2014-2017. He is now a fellow and tutor in history at New College, Oxford. 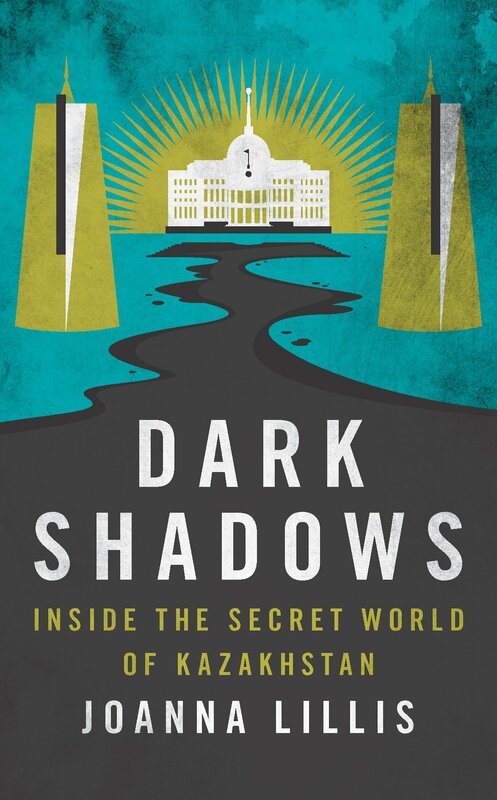 Dark Shadows: Inside the Secret World of Kazakhstan, by Joanna Lillis, was published by I.B. Taurus in October.